Hee hee hee. 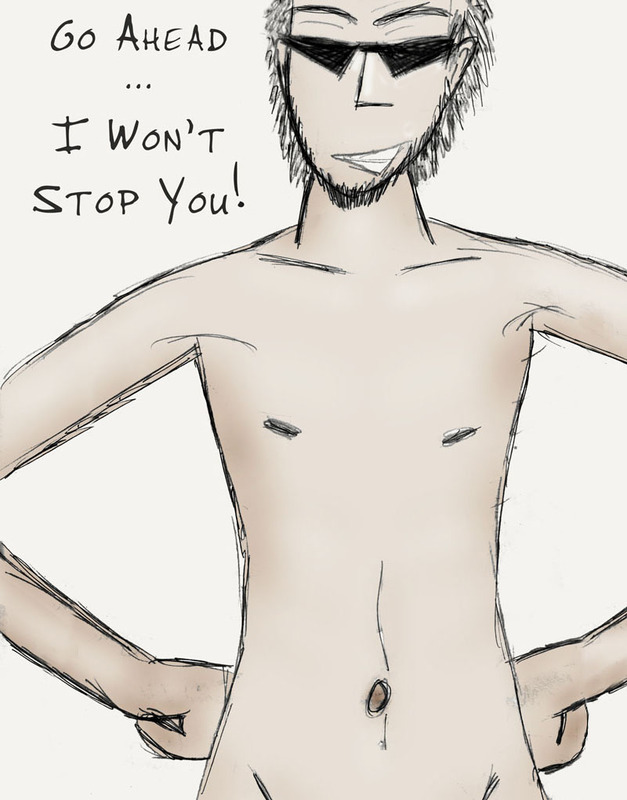 Yeah, that's a scruffy pink me, be NSFW. This is the product of wanting to have something silly on your door and not having a defined art style yet. Personally, I'm quite appalled by the art now, and I'm glad I went in a different direction- but that doesn't change the humor of the art. It's out of context though- this piece is intended to be situated right over a door hand, so that the hip lines and the belly button are on three sides of the handle. Makes people stop for a bit every time they walk in.